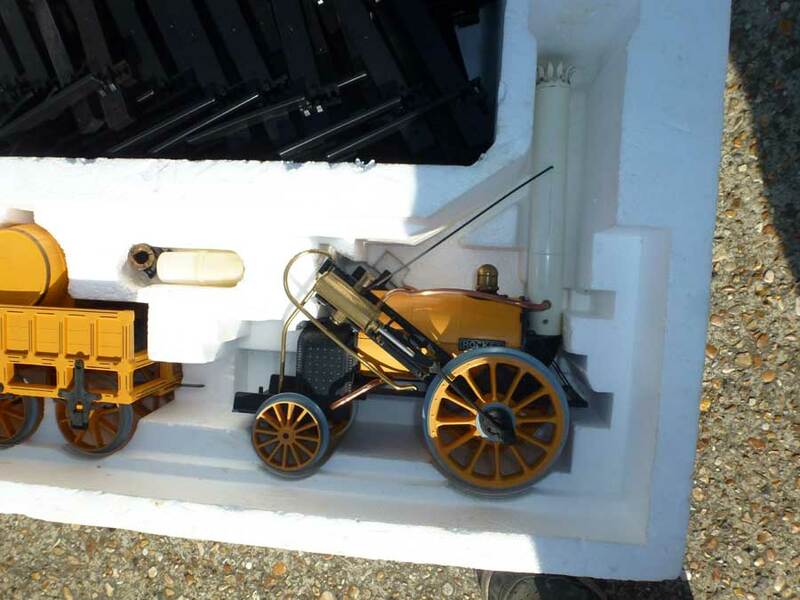 A fantastic 3.5" gauge model based on George Stephenson's iconic 1829 "Rocket" locomotive. Produced by Hornby to a high standard. With its yellow paint, white flared chimney, and large front drivewheels powered by 45-degree-angled pistons, Stephenson's Rocket is probably the most distinctive and easily-recognised member of the family of early steam locomotives. 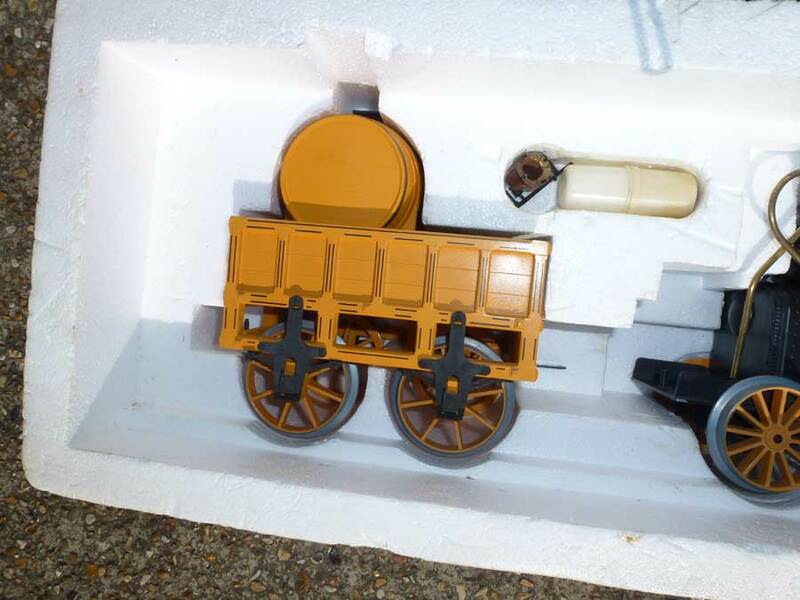 The model is one of the few steam-powered locos that Hornby ever made. This particular set is in fantastic condition, we see a few of these and this is by far the nicest to date. Comes in original box with packaging, including an assortment of literature. This loco belongs in someones collection! 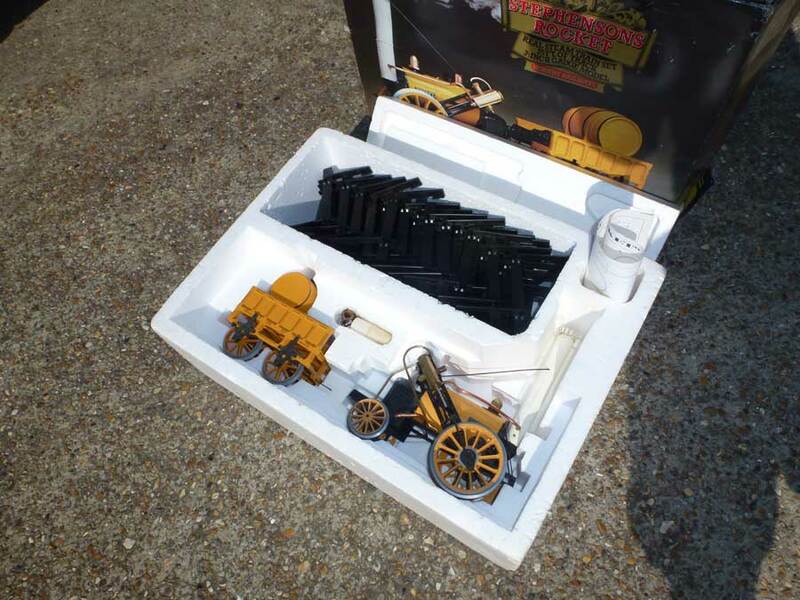 If you are looking for coaches and accesories to compliment this fantastic set then please take a look through our listings as we have a variety of Hornby Rocket Items.